Some of you might know when I am not working, sewing, knitting and taking photos I officiate basketball games. I have blogged about my experiences with wheelchair basketball and those can be found in my archives. Yesterday was cup final day for the WBBL & BBL leagues. It’s the first silverware of season. These games took place at the Arena Birmingham, not a small venue by any means! I was asked to do the Swiss timing. Swiss timing, what’s that? I asked the same question and still wasn’t sure until I spoke to the floor manager! At this point my anxiety levels went sky high. But I was taken through the equipment by Alfie, when I looked at the equipment it was the same equipment I used at Paralympics 2012. This scoring equipment is made by Omega and would be shown on the BBC coverage. I made notes of what I was shown and got on with it. I felt more comfortable in the 2nd game but my legs shook. It was far from perfect but I survived & hopefully didn’t mess up too badly. I am always looking to step out of my comfort zone and improve my confidence. This brings me onto my new crafting idea. I take a lot of photos and keep meaning to print them, well I have placed my first order for some cards. There will be five designs and here are two of them. These cards will be for sale and supplied with a kraft envelope. I have had all good intentions to blog this week but flu has taken hold. So hopefully the grip flu has on me won’t last long. I want to share some of the cool things I have been up to. See you on the other side. After another random conversation with a colleague at my day job I was introduced to an app called Foodmaestro. 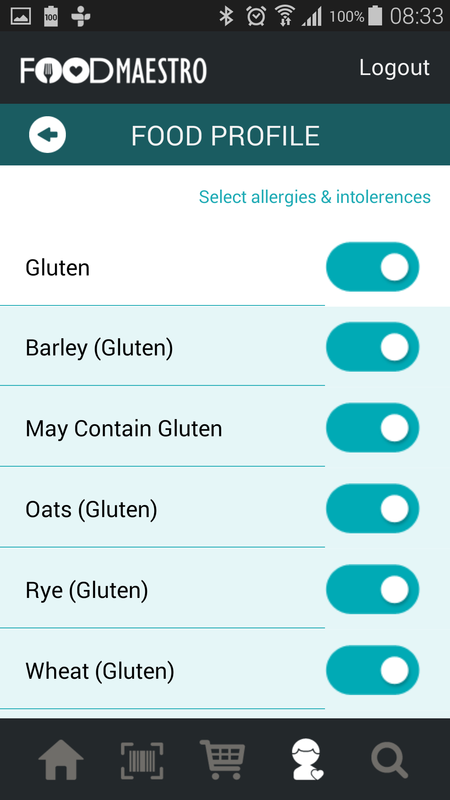 It’s an app that gives you product information according to your allergies or intolerances. My colleague uses it for his son’s nut allergy and said I could use it for my gluten intolerance. So I had a look and have been rather excited by this app. Here’s a video explaining more about it. Here is a screen shot of part of my profile. This app has the potential to be a great app, but being new it will need time to build. So I am going to be patient and see how it evolves. I am using the app via an android phone and is available on most phone formats in the UK. Disclaimer : I have not been asked or paid to write this blog. When I started blogging 7 years years ago, yes that long ago. I was blogging on Blogspot and found the platform difficult to navigate unless I used my computer. I even gave Tumblr a go, as well as a hosted blog on my old website. They all have their merits but didn’t work for me at the time. Fast forward to 2018 and I blog from WordPress. I miagrated my content over from Blogspot. What I did notice was I getting some great blogging ideas and they would languish in my drafts. This includes going to photography meet ups and involvement with Instagram challenges. When I last looked there was 35! So I am going to look through and see what can be published and delete the rest. These posts won’t be posted on my front page, but I will refer back to them throughout the year. Now, so this doesn’t continue to happen do you have any tips, tricks or suggestions to help plan my blog posts better? I do have a Pinterest board with blogging tips, but I find there is a lot advice based in the US. There’s nothing wrong with this at all, I am asking with the hope bloggers and readers will reach out. 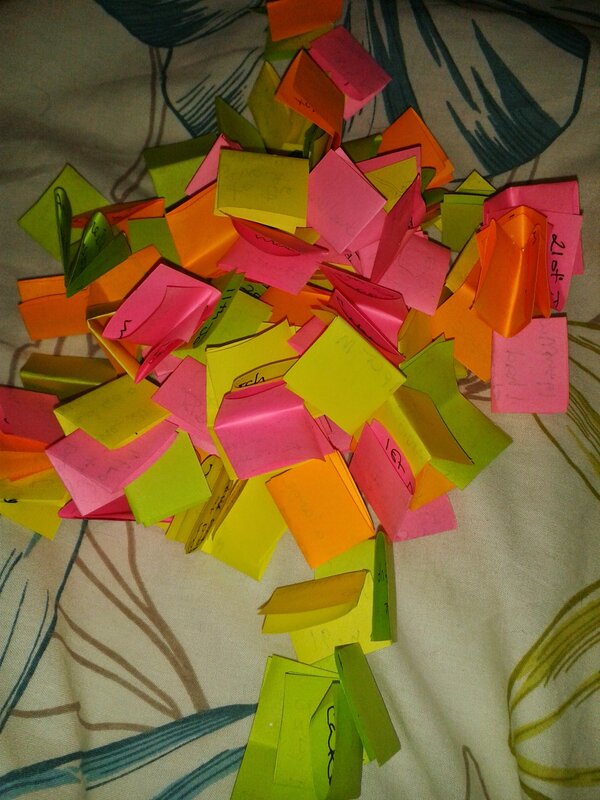 For the last three years I have been writing down positive things/moments that happened to me and putting them in a jar. I started doing this so I would stop concentrating everything that would go wrong. 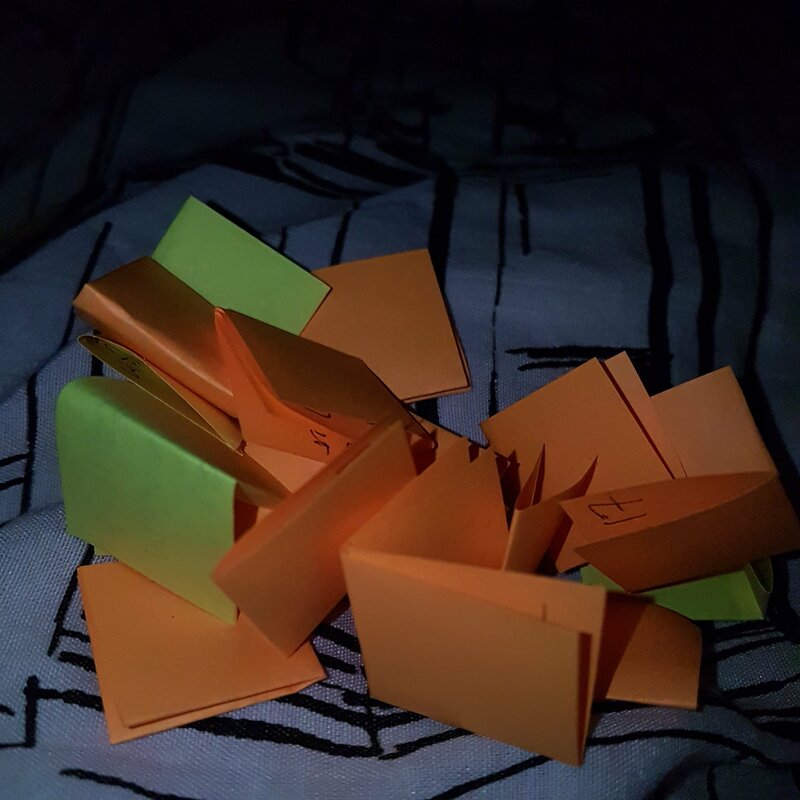 On the 1st January I prepared a jar and got some sticky notes ready. At first I had to search really hard to find things that were positive. Then I broke it down and looked at the basics, like I brushed my hair. Building up to things like paying someone a compliment or buying flowers for my friends. 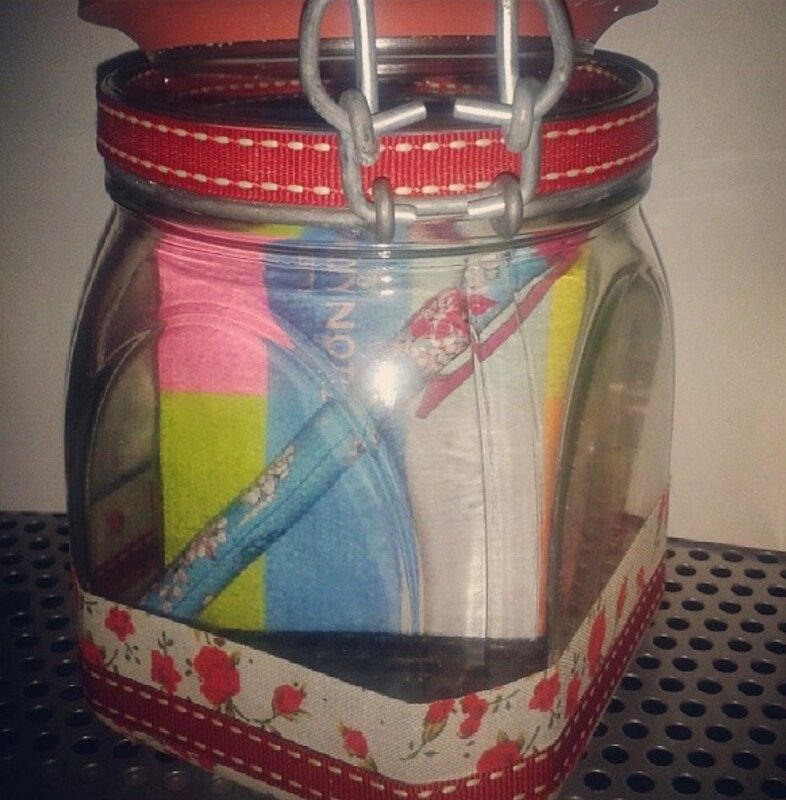 There are no hard and fast rules on keeping a happy jar, such as find something to write everyday. Some days I would write down as much as 5 things and the next day, nothing. When I needed cheering up I would dip into the jar and remember what I had found positive. This would also encourage me to keep writing down positive things. Before I knew it and the time had come to empty the jar. I would sit on my own and unfold the sticky notes. It was emotional sometimes but really good to remember the moments that had taken place that past year. Some tips that helped me. Put a pen and notes in the jar, then there are no excuses. 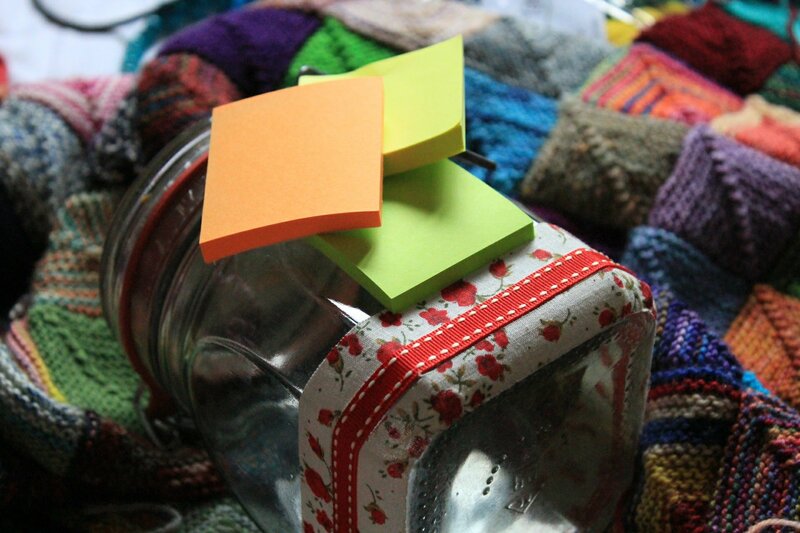 Place the jar somewhere you will be encouraged to write your moments. You don’t have to use a posh jar and colourful paper. Don’t worry if you can’t think of anything to write. 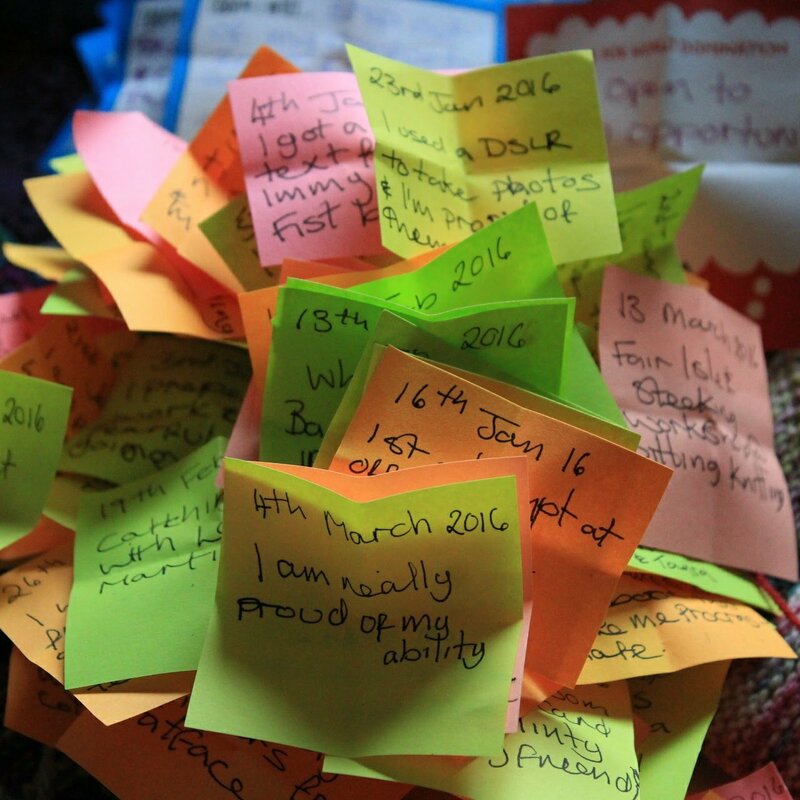 I have enjoyed this process and how it helps me to remember positive things and moments. I would encourage anyone to try it, but there is no pressure. Thank you for reading this post and I hope 2018 is a positive year for you all. On the last day of 2017 I thought I would look back at the top ten viewed posts. Algorithms, SEO and tags have a lot to answer for. I don’t understand it enough to improve it at the moment, but I am not too bothered as long I continue to enjoy blogging. My viewing numbers are not high but here goes. Ebay items for sale, that don’t sell was posted on 17 January, it had 38 views amd 2 likes. Street Workshop with Kris Askey & IGersBirmingham was posted on 11 February, it had 35 views and 9 likes. Super Mini Lemon Meringues was posted 30 May 2015, it had 26 views in 2017 and 4 likes. I am not quite sure how this older post got some love, but I am not complaining. World Mental Health Day was posted on 10 October, it had 25 views and 5 likes. Throwback Tuesday: Black and White Photo Challenge was posted on 21 November, with 18 views and 6 likes. Be Inspired – Kizomba, Semba & Ginga Workshops was posted on 19 February, it had 13 views and no likes. International Women’s Day 2017 was posted on 08 March, with 13 views and 3 likes. I will probably do something next year IWD2018, watch on my social media channels. Christmas content was posted on 06 December, it had 12 views and had 5 likes. My Calendar – My year in photos was posted on 07 December and had no likes. I will be doing another calendar, it was so soothing and encouraging to be reminded of my photography development. Poppies was posted on 02 November, with 11 views and 2 likes. I would like to thank you for the views and likes. I won’t be making any resolutions but take small positive steps. I will also try and post some entries that are still sitting in my drafts. In 2015 I came across the best nine app. I entered my Instagram account name and it picked the most liked nine photos from my feed. When I look back at my Instagram feed, it has really developed. Here are those first nine photos. 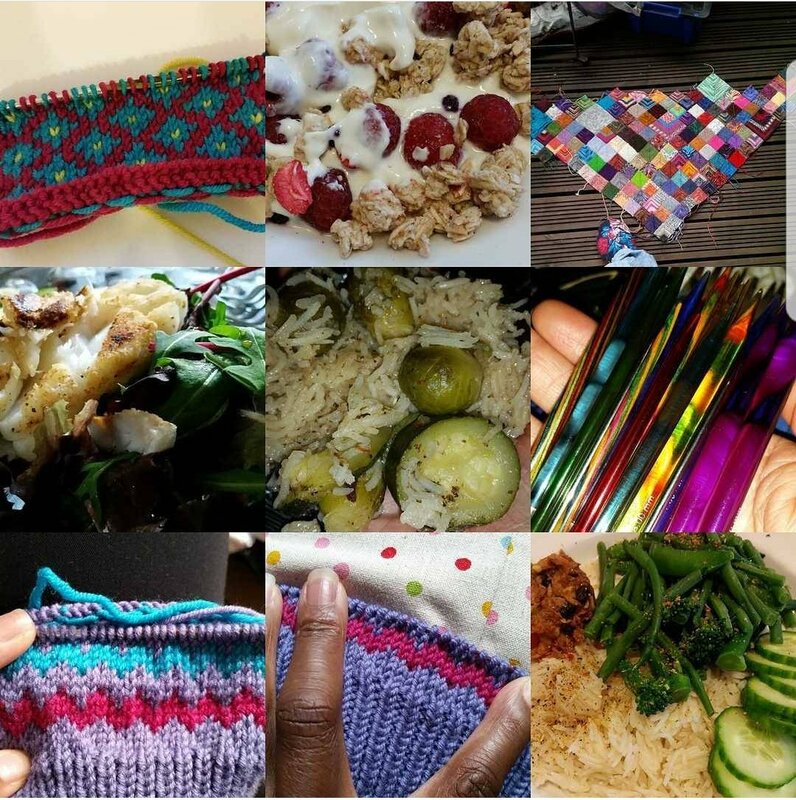 These nine shots all relate to knitting and food. I have set up a separate Instagram feed for my food called poppybeadfood. The sock yarn blanket hasn’t grown much in two years and I love knitting colourwork. Fast forward to 2016 and I had really embraced photography. Five of the nine photos above were taken when I attended a long exposure workshop with Ross Jukes. I had no clue about long exposure and learnt so much. All of the photos were taken with my Canon 1300D camera, it was a real year of learning and discovery. 2017 has absolutely flown by. This year’s nine show a different development. I am still taking lots of photos but you get to see a little more of me, I had stopped hiding as much behind the camera as much. I have been sewing a fair bit more this year, catching up with old friends and returned to officiating top level able bodied basketball. I have continued to look into puddles for a beautiful photo and get outside for night time photos. One big difference this year was the camera I used to take the long exposure photos. I bought an Olympus OM-D E-M10 mark II, it’s a lot smaller and lighter than my Canon. It also has image stabilisation built into the camera body. I am struggling with it but every once in a while I capture some stunning photos. Now on to my makes. 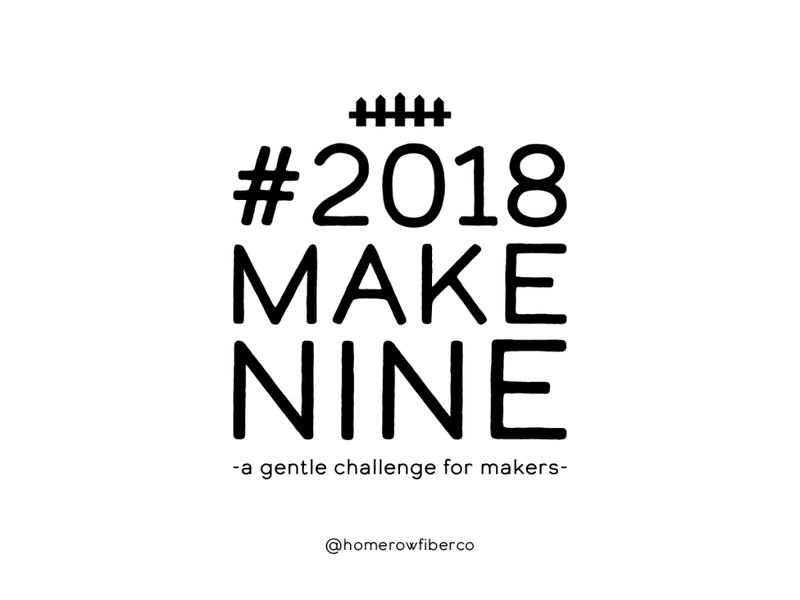 On Christmas eve I came across the hashtag #2018makenine, a gentle challenge on making nine things throughout the year hosted by Home Row Fiber Co and a blog gives you more information. I noticed some people had posted sewing or knitting specific grids of nine, I did both. I attached three aspects to them, make some new things, finish projects that have been hanging around for a while and re-make some things I enjoyed making before. From left to right, top to bottom. The lonely tree shawl by Sylvia McFadden. I made it for a dear friend and enjoyed it, so will make another at some point. Santa’s Laundry Line by Eleonore von Castelmur. I started this decoration a few years ago and picked all of the easy items to complete first. I have nearly finished the socks, just leaving the mittens and longjohns. The Secret Garden Shawl by Sarah Rose is not far from being finished and I am due to start the lace section. Pebble Beach Shawl by Helen Stewart. This pattern is one of the easiest patterns to follow, it gave lots of interest and tracked how far you had got through the pattern. Stories From Snoqualmie Valley by Annie Rowden will be a lovely cosy shawl when I finish this project. Baa ble Hat by Donna Smith has been a popular pattern amongst knitters and I knitted mine in two shades of grey. Andes Cardigan by Jenny Watson was one of the first patterns I started knitting seven years ago. Yes I know seven years is a long time but I got bored. Again, there isn’t much more to do. Bluebird of Happiness by Sara Elizabeth Kellner, is a small make that I intend to make again. Hopscotch by Wieke van Keulen is a crochet project that needs to be finished. As for sewing with I don’t think I am particularly good but I keep trying and some of the things I make are wearable. Pictures 1, 2, 4, 6, 8 and 9 are from simplicity NewLook. Picture 8 was a prize in an Instagram competition with The Crafty Pinup. Picture 3 is the Molly dress is My Capsule Wardrobe from Sew over It. Pictures 5 and 7 are dresses from Tilly and the Buttons, I have heard good things about her patterns and so I have treated myself to Love at First Stitch and the Bettine pattern. I will also be learning how to use an overlocker and hope that will help with my sewing. As for my photography I am still hopeful. Recently, I purchased a photo board photoboards.org after Jane Kent who had recommended them. When my board arrived I was impressed with the quality and how my earrings popped in my shots. Then I noticed a post on Photoboard’s Instagram feed that they were holding a contest with the hashtag #mycosywinter. So I decided to enter and this is a big thing as I get really anxious about my photography and to sometimes get photographer’s envy. Below, is my entry called “Mince pies and knitting” The candle holders were a gift from a dear friend and ex work colleague. The candles were from an endosister and yellow is the colour for Endometriosis. The yarn is from Rico Design and was purchased from Sitting Knitting in the West Midlands, the pine cone was collected locally. 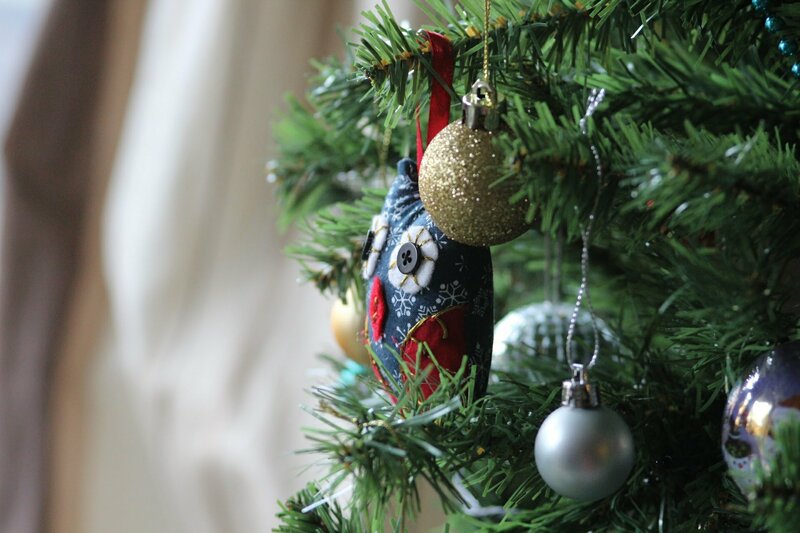 The baubles were purchased a few years ago from a major supermarket and the gluten free mince pie was from another major supermarket and finally fairy lights were from a discount store. Well I would now like to ask for your help in order to get through to the next stage of the contest and I really need your votes. You can vote here and the closing date is Monday 18th December 2017 at 09.00 GMT. Thank you for reading this post and hopefully voting for me. With 19 days until Christmas day there are lots of advent calendars, prompt challenges and vlogs in my social media feeds. 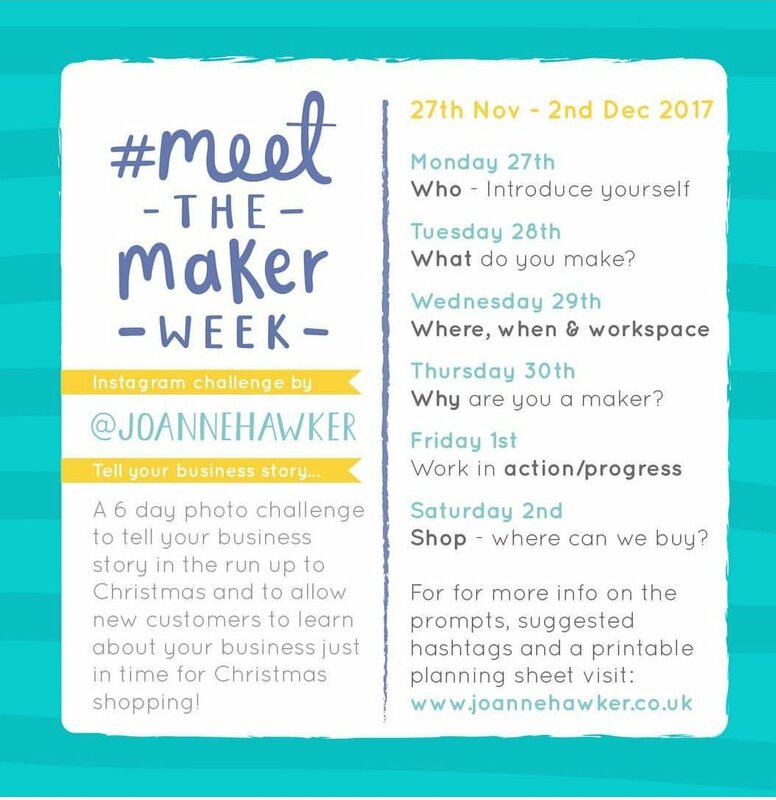 I started posting about #MeetTheMakerWeek by Joanne Hawker and then got busy so didn’t finish all of the prompts. This challenge was a short one of six day. Taking part in this challenge gave me the chance to check out the feeds on Instagram of other makers. 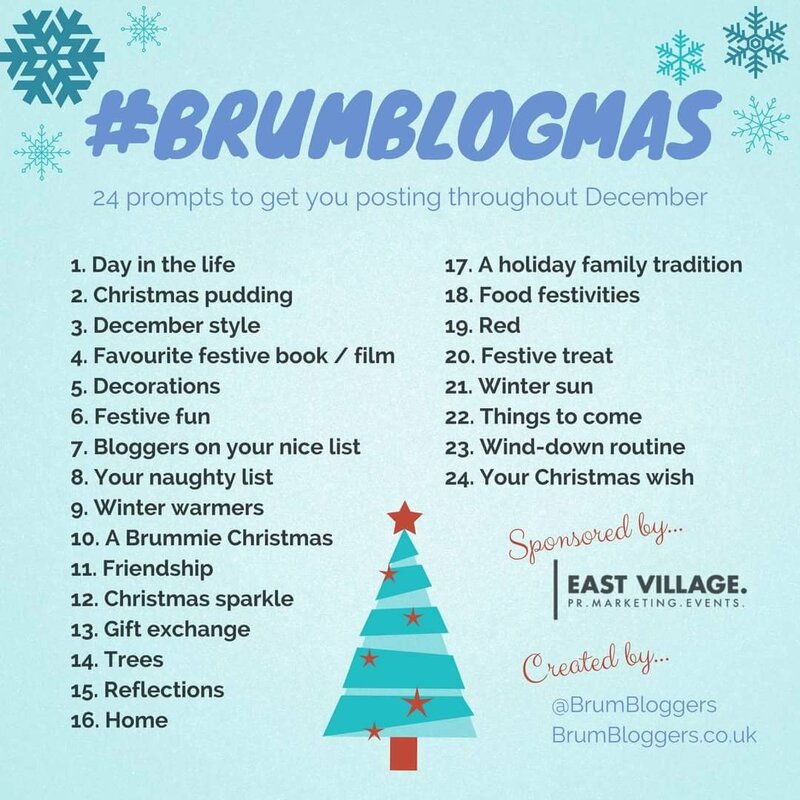 I joined a group on Facebook called Brum Bloggers and they are running #brumblogmas. I got apprehensive about finding the time to produce content for 24 days in a row. Then I re-read the post and it said you could dip in and mix up the order of the prompts. I have signed up and will post some content based on the prompts. 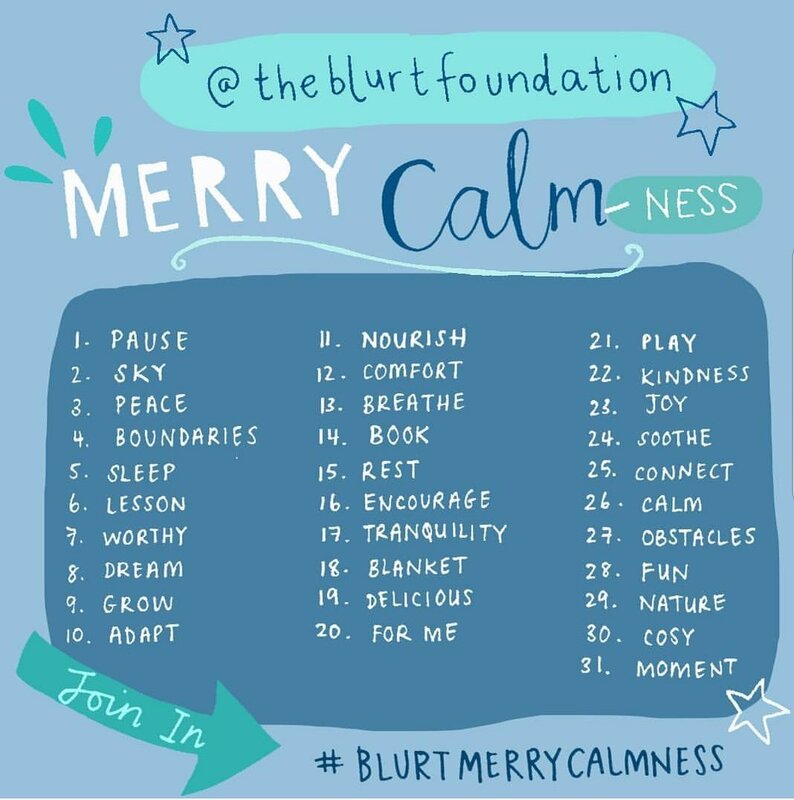 Finally, an Instagram challenge from the Blurt Foundation called #blurtmerrycalmness. Again I will dip in and out of this challenge. I the Blurt Foundation has some interesting and inspiring articles and merchandise relating to mental health. With that in mind I have decided not to put my big tree up this year and I will leave you with a shot from last year. I want the festive season to be a time of reflection, rest and gratitude. Not long ago I received an email from a colleague at my day job. This woman was also a colleague at my previous day job and remembered my love of photography. She let me know about an exhibition and a workshop on pinhole photography. It was only a few days before someone was talking about the Beyond the Battlefields exhibition at a photography meet up. The exhibition is free and being held in Aston Webb’s Rotunda Gallery at the University of Birmingham. I didn’t realise the Great Hall was used as a hospital in WW1. After being taken around the exhibition we started the workshop. I always have a fear that I can never keep up in workshops, but this was different. Jo Gane who took the workshop was lovely. She explained everything really well and didn’t go too fast. We went on to prepare a drinks can ready to take our photos. The cans were then loaded with photographic paper and off we went. My first attempt didn’t require much exposure time, two seconds. I am so happy with the result. We used a smartphone app to invert the photos. This was the corner of my 2nd attempt, the rest of the shot didn’t expose for long enough. My last attempt blended the old and the new. I really wanted to take a photo of a new camera. I am so glad I attended this workshop, it was out of my comfort zone and I survived.